Don't see a content slider here? Important: The Visual Editor is the core DupeFree Pro software. It is the central component that forms the backbone of DFP and is required before any add-on modules can be added. With the many advanced features of the DupeFree Pro: Visual Editor, you can edit, rewrite and compare articles eradicating duplicate content with unparalleled precision, control and speed. It is important to note that the Visual Editor is not an article spinner. It is aimed at content publishers who prefer to produce quality content by hand. However, manually rewriting content is a very time consuming process. This is where DupeFree Pro can assist, by helping you target duplicate content across multiple articles quickly with visual aids such as multi-colored highlighting and a fully customizable duplicate content algorithm. The Visual Editor contains a host of features that make rewriting content a lot more enjoyable and efficient. Read on below to discover these features. DupeFree Pro Core: Visual Editor Features Click images below to see them full size! DupeFree Pro v2 is a complete rebuild over the old version 1, and so the interface has been completely overhauled. The new interface is much easier to work with and very flexible. To add further testament to the new interface design, we've had many writers tell us, unprompted, how much they enjoy working with the new interface and that it feels like it actually aids in the creative writing process! Click the image to the left to view a full screenshot of the main DupeFree Pro: Visual Editor interface. One major shift we've made with DupeFree Pro v2 is developing it's own proprietary file format. This means you can now open and save DupeFree Pro project files (*.dfp). The DFP project files contain all the articles and their data for each module installed in DupeFree Pro. Your duplicate content detection/rewriting projects can now be completely wrapped up within one convenient project file. This is a massive improvement as it allows you to save where you are and come back to a rewriting project with minimal effort - no longer do you need to dig out multiple article files, open them in multiple editors and open excel spread sheets containing project related data, it's now all in one convenient place. The DupeFree Pro project files are also transferable, meaning you can open them on any system running DupeFree Pro. So, for example, if you are a writer and your client also has DupeFree Pro, you can simply pass the .dfp project file over to them so they can see the quality of your rewriting first hand - very powerful indeed! 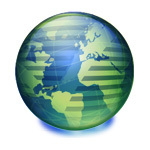 Bulk import/export - you can select multiple articles when importing or exporting to save time. Import .txt .doc & .html files. Export in .txt & .html file formats. Articles are assigned an "order letter" as soon as they are added to a DFP project (i.e. Article A, Article B, Article C, etc.). An article's "order letter" does not change for the entire time it is present in a DFP project. No matter how much you rewrite an article or change it's title, the article order letter remains the same, making it very easy to keep track of which article is which. The article order letters are even appended to file names when they are exported from DFP. This simple feature makes DFP a very practical solution for rewriting many articles at once. Clone Article - a super useful button that will create a clone of the current active article, add it to the project as a new article and open it immediately in the opposite article window. This makes creating rewrites of existing project articles very quick and efficient. Delete Article - deletes the active article in the window. 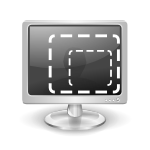 Export Article - quickly export the current open article in a choice of .txt or .html format. The duplicate content highlighting system has been greatly improved. The colors now used are a less intrusive range of light pastel colors, making it much more pleasant to edit a document with the highlighting turned on. Another major advancement is that DupeFree Pro will now automatically update the duplicate content highlighting every time you stop writing, so now you no longer have to keep hitting a "compare" button! When your editing cursor is placed inside a highlighted duplicate content text section, both this highlighted text section and the corresponding highlighted text section in the other article, show a dark border around the edge of the highlighted area. This a great way to quickly and efficiently find the two matching duplicate content sections so you can target them faster than ever! As well as displaying a large percentage value, telling you the exact percentage of duplicate content, the box also outputs the number of matching text pairs found. The output percentage can even be changed, in the duplicate content settings area, to show either the percentage of uniqueness or duplicate content - so you can now choose which type of stat you prefer to work with. On top of all this you can change the percentage thresholds that dictate when the output percentage box will change from red to yellow to green. So you can choose to stick with the DupeFree Pro recommended defaults, or set your own thresholds for what you consider to be the right amount of uniqueness between articles. One very important area that has always separated DupeFree Pro from the competition, is the transparency of the duplicate content algorithm. While most other tools give you zero control over this we give you complete control. Why other tools choose to hide this critical element, we have no idea. They are in effect saying the way they calculate duplicate content is the only way, and so therefore are also saying it must be good enough to match the way the search engines work, which is absurd as nobody but the search engines know this information and it's likely on a level of complexity and frequent change that makes it practically impossible to match. So we choose to buck the trend, and not insult your intelligence, by giving you the flexibility to set the algorithm how you determine best. Or of course, you can simply leave the settings at their defaults to use our recommended settings. Set the matching part length. Choose from number of characters, words, sentences and paragraphs. This is the core control item over how duplicate content is detected between two articles. For example, the CopyScape service uses 3 word matching pairs to detect duplicate content (this is also the default setting in DupeFree Pro). You can choose to make the algorithm case sensitive or not. The algorithm can be set to ignore sentence and paragraph ends. If this is set to 'off', duplicate content will not be detected if it spans over two or more sentences or paragraphs. You can even choose to set the algorithm to ignore the keyword phrases you've set for each article inside a DupeFree Pro project. This is very useful because articles are often optimized for the same set of keyword phrases, so in this situation you may like to exclude keywords from being considered duplicate content as they are going to be present in both articles anyway. An extremely useful new feature is the ability to set the algorithm to ignore an editable "common words" list. Common words, or "stop words", can often play a part in search engine algorithms so we added the ability to edit your own list of common words which the duplicate content algorithm can ignore. Making the algorithm ignore this list of words means you can compare articles against each other using just their main 'meat' words. DupeFree Pro provides a strong list of common words by default but you can add/remove as many as you wish. You can change the type of percentage that is calculated and output in the percentage output box. The options are "unique content percentage" and "duplicate content percentage". Over the years we've all got used to using either method, so rather than stick to one we've given you the choice of both. Using a slider control, you can change the red/yellow/green percentage thresholds which dictate when the output percentage box changes color to warn you when the amount of duplicate content is good, bad or just ok. There are a lot of different opinions about what the optimum uniqueness percentage is, plus depending on your settings the optimal percentage would change, so we've given you the ability to set this to how you feel fits your situation best. At anytime, you can hit the 'defaults' button to return all the settings to their default position. Another big new feature to DupeFree Pro, and a heavily requested one, is the ability to select text in an article that you want the duplicate content algorithm to completely ignore. There is often a case where you may be rewriting an article which contains quotations, expert terminology, or other text, that for whatever reason, simply cannot be rewritten. When this situation arises you may wish to compare the articles while completely ignoring this text. To aid with this, we have added the ability to select areas of an article and mark it to be ignored. When text is marked as "ignore text" it is highlighted in gray and will be ignored by the duplicate content algorithm and colored highlighting until it is either unmarked or the ignore text "clear all" button is clicked. We have introduced the ability to change what gets highlighted in the DupeFree Pro article windows. The highlighting can be changed between: duplicate content, keywords and off. When set to "duplicate content", all duplicate content across the two open articles is highlighted and updated in real time as you type. When set to "keywords", any instances of the article keyword phrases are highlighted in the articles as you type. Each keyword gets its own color so they are easy to find. Lastly, when set to "off" no text gets highlighted and the duplicate content algorithm is turned off - this is useful if you are finding the highlighting distracting while you type or if you are working with very large articles (i.e. 3,000+ words) and the duplicate content algorithm is running slowly causing problems while rewriting. Continuing with the concept of making DupeFree Pro v2 an environment that can be used for editing as well as comparing articles, we added the ability to fully collapse and resize the work area windows allowing you to work in a way that you prefer. The main article windows can both be displayed at the same time or just one at a time. Plus the bottom keyword panel can be resized to any height you desire by simply dragging the panel's tab, or you can click the panel's tab to hide it entirely. So, if you prefer to work with zero distractions, you can set DFP so all you see is just one giant article window - what's really cool, is even when you do this, you can still see the duplicate content highlighting which enables you to make an article unique without even having to see the other article! Another thing to note, is the border of the currently active article window is made a shade darker so you always know which article your actions will effect - just another handy little feature. It can be a right pain to always have to resize an application window to the size and position you like to work with every time you open it. So, we've made DupeFree Pro remember the size and position it was run at when you last closed it. Now you can get working even quicker with minimal fuss and hassle! There are a lot of elements to the DupeFree Pro interface. However, we didn't want that to prevent users with smaller screen resolutions (such as netbooks) from using DupeFree Pro. 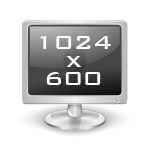 To help with this, we've managed to get the minimum screen resolution super low at just 1024x600! We've also implemented a collapsible ribbon menu system similar to what is found in the Microsoft Office applications. These menus will dynamically collapse as the DupeFree Pro window is decreased in size, so that you can continue to use all the functions and buttons even when operating on a low resolution screen or simply if you want to make the DFP window smaller on your screen. At the base of the Visual Editor interface is the keyword panel. You can add your keyword phrases for each article in this keyword panel and the keywords will be saved with each article in the DFP project file. The keyword panel gives you a count and percentage output for the density of each keyword. As well as this the percentage is colored green, yellow or red depending on how your keyword density percentage thresholds are set in the keyword settings window. You can choose between two methods of calculating the keyword density percentage. One method ignores the size of the keyword phrase (i.e. ignores the number of words that make up the phrase) and the other considers the size of the keyword phrase. There is some speculation as to the best method to use so we thought it best to provide both for you. A slightly unorthodox setting, but none the less very useful, is the ability to make the keyword density calculation also count any word from a keyword phrase found individually within and article. When active, this can yield some interesting results. And, as per the duplicate content percentage settings, you also have the ability to change the percentage thresholds that change the color of the percentage output boxes between red, yellow and green. Everyone has their own opinion as to the best density percentage, and of course this would vary depending on your settings, so we've given you the flexibility to change this as you see fit. Next to the keyword phrase tables in the keyword panel is a "common words" table. This table is automatically populated with all the words in the article and shows their individual counts and density percentages. You can change the order in which the words are listed by clicking on the different column headers. This is a useful feature to see what words are appearing frequently in your article, and perhaps too often. Within the keyword phrase settings window, you have the ability to stop words from displaying in the common words tables that are also present in the editable common words list in the duplicate content settings window. This is very useful if you just want to see the stats for only the main "meat" words of an article in the common words tables. An inline spell checker is a great tool for fast spell checking. Every time you stop writing DupeFree Pro checks your article for spelling mistakes and underlines misspelled words with a red zigzag line to highlight them. A simple right-click brings up a mini-menu with suggestions from the dictionary. You even have the option to add custom words to the dictionary, plus these added words are not lost when re-installing DupeFree Pro. As well as the inline spell checker, there is a more traditional popup spell checker. This gives you the ability to run through the misspelled words in an article without having to manually locate them by looking for the red zigzag underlines. As per the inline spell checker, you can also add words to the dictionary from within the popup spell checker interface. DupeFree Pro currently uses a merged American, British & Canadian English spell checker dictionary. However, we have plans to separate these dictionaries and also add many other languages with the option to swap between them all. When exporting an article in HTML format all these font and paragraph options will be retained in html form. Further adding to DupeFree Pro's ability to be used as an editing environment, we've added "find & replace" functionality. This feature can be used to quickly locate a particular text section in an article article as well as quickly replace a text sections with another text. Find and replace can also be used to highlight all the matching texts in the active article making it easy to see where they all are at once. We've kept the word, sentence and paragraph counts functionality from DFP v1 as they are very handy, and also added a character count as well. We've made these counter stats smaller and less intrusive so that they don't take up too much of the interface. These stats will also now update live as you type. DupeFree Pro projects often consist of many articles, and so to aid with quickly jumping between the articles we've added a drop-down box above each article window. This lets you jump between articles so you can quickly compare them with each other. Articles in DupeFree Pro projects are compatible with characters from all languages. This means you can now examine articles for duplicate content in any language! DupeFree Pro gives you both inline right-click cut/copy/paste functionality as well as menu based cut/copy/paste - the best of both worlds! Keyword & Synonym Fetcher - Coming Soon! During the public beta phase we will be adding features and fixing reported bugs. One major feature that has been in the works for a while now is the Keyword and Synonym Fetcher. This in an advanced solution that will enable you to enter a seed keyword or phrase, choose whether you want synonyms returned as well, then click "Fetch Keywords" to get a returned list of keyword phrase suggestions complete with "exact match" monthly search volume. The returned keyword suggestions will come straight from Google itself, so you know the reliability of the data will be second to none. With the click of a button you will then be able to select and add the keywords you choose to the keyword phrase list for any articles in your project. We've made keyword research push-button easy! Thesaurus Dictionary - Coming Soon! During the public beta phase we will be adding features and fixing reported bugs. A feature that will be added soon is a thesaurus dictionary. The thesaurus dictionary will provide a quick and easy way to find alternative words and phrases to words in your articles - extremely handy while you're rewriting an article. Unlike many software applications that always require an internet connection to validate licenses, we've made DupeFree Pro able to run DFP without validating a license over the internet for 14 consecutive days. So while many other software products simply won't work without an internet connection, DupeFree Pro gives you a full two weeks where you can run DFP like normal while offline. DupeFree Pro v2 is a living breathing application we plan develop on over time and so updates play a very important part. To make the update process super simple for you, we've implemented a live update check on load where you will be asked if you would like to install updates if any are available. Clicking yes will launch the updater window which will download and install updates to any modules you have licenses for. So once you have DupeFree Pro installed you don't have to mess around with downloading files again - it's all managed right from within DFP! "...this software is like... well ...the words... "wow" ...and "Oh my gosh" were my first impression... I looked for a tool like this about 6 months ago. I just couldn't find anything that would work for me, let alone even comes close to the capabilities of this one. I write product reviews for affiliate marketing and spend a lot of time writing articles. Original content is a must when trying to place high in the search engines. I have to say that this software was an eye-opener & a jaw-dropper for me. Thanks so much for making this software available..."
DupeFree Pro: Add-On Modules Expand the functionality of your DupeFree Pro! We've designed DupeFree Pro v2 as a "modular" system allowing you to obtain only the features you need. This saves you money and allows us to keep adding great new functionality. Once you have obtained the DupeFree Pro Core: Visual Editor, you can add new functionality to your installation via the available "add-on" modules. When you buy an add-on module, a new tab will appear inside DupeFree Pro for that module's interface. The Online Check add-on module provides functionality for detection and analysis of online duplicate content, plagiarism and search engine indexing saturation. You can quickly and efficiently search all the major search engines (Google, Yahoo, Bing, Ask/Teoma) for copies of your offline articles. This is a great way to check your articles before you publish them online, ensuring they won't fall victim to duplicate content. With advanced features such a duplicate content highlighting spanning across your article and the browser window, you can quickly determine if an article is in fact copied online. If you're syndicating articles online, you can see the spread of your articles over time using the search results history graph. The Bulk Compare add-on module provides powerful functionality for quickly comparing multiple articles against each other at the same time. Simply select the articles within a DupeFree Pro project, click "Compare", and a scalable matrix grid will be populated with the duplicate content results data. The multi-article comparison process uses DupeFree Pro's customizable duplicate content algorithm settings and variable color thresholds when outputting the data in each matrix grid cell. This gives you a fast way of cross-referencing multiple articles by locating the article pairs in a project that are of an unwanted similarity based on your desired settings. A simple click on a matrix grid cell gives you the option to open the two articles directly in the Visual Editor module so you can begin editing the articles immediately. The CopyScape Check add-on module provides functionality for finding online copies of your offline content using the CopyScape API. The advantage of CopyScape is that it performs a complete and very thorough scan of your whole article in one go, making it an extremely comprehensive solution for checking for duplicates of your content online. However, the CopyScape service doesn't natively provide an intuitive and practical system for checking offline content through their system. CopyScape is primarily aimed at checking content that already exists online, whereas DupeFree Pro is aimed at the point where content is created prior to being put online. This CopyScape add-on module fills this critical gap and gives you with the in depth online checking via CopyScape, but for your offline content, and with an easy to use interface. This CopyScape module will require a user to have API credits within their CopyScape account to perform online checks. The Rewrite Assistant add-on module will help you rewrite an article much quicker, while still maintaining a high level of quality. This is not another article 'spinner' that churns out low quality articles (that is not what DupeFree Pro is about). The Rewrite Assistant add-on module aids in the process of manually rewriting articles by providing alternative suggestions to words and phrases throughout an article. At this time we don't want to give too much away because the functionality is still under conceptual development, but what we can say is it will go a long way towards making the arduous rewriting process point and click easy! If you have similar pages within your own website, it can be the kiss of death for those pages if the search engines determine them to be duplicate. And in the most extreme cases, if you have too many similar pages, your whole website's rankings can suffer. The Internal Site Check add-on module can help you find pages on your website that might be to similar and therefore need some rewriting attention. This is a very important module to help prevent you from being your own worst enemy. "I'm beyond delighted. Today, I wrote one original article, then quickly created seven other articles that won't trigger Google's duplicate-finding mechanisms. I'm usually a slow writer. For me to turn out eight articles in one day is unheard of. DupeFree Pro is going to put extra money in my pocket and who doesn't like that!?" "I just want to thank you guys for your wonderful program. I am a very prolific article writer and I sometimes feel as if all I do is rewrite my original material to avoid dupes. Trouble is, I tend to virtually rewrite the whole thing and that takes longer than the original article. What I have learned from your program is that I can now save many hours in my week for original article writing and spend a lot less time stressing about dupes. Thank you guys, this is a great program." "I was waiting and looking for DupeFree Pro for the last 2 years... I don't know how I got by without DupeFree Pro all this time. I use DupeFree Pro to help me in my article marketing. I am so glad I bumped into the page that lead me to it. I love it and will be a client forever." "As an affiliate marketer that builds primarily SEO niche sites, I rely heavily on article marketing and creating new content for my sites. It's imperative that the articles and content I have written by my ghostwriters are unique and duplicate-free. DupeFree Pro has been an invaluable tool as it allows me to check their work to ensure I don't get dinged with the dreaded duplicate-content penalty." A DupeFree Pro license may be used on a single computer at any one time. If you wish to install DupeFree Pro on another computer simply contact us at the helpdesk and ask to have your license reset so that you can install DupeFree Pro on a different computer. DupeFree Pro requires an internet connection to 'call home' to check for a valid license. However, we've added a great feature which will allow you to use DFP while offline for 14 consecutive days in case you need to use it while on vacation for example. Only one DupeFree Pro license can exist in a TekkTonix customer account. If you wish to purchase multiple DupeFree Pro licenses please purchase each license under a separate TekkTonix customer account. Max Article Size: around 5,000 words per article. Larger articles will import, but performance will be dictated by your computers spec. As a general rule, performance will start to slow on average spec systems when articles go over 3,000 words. A study of online content revealed the average words on a web page is 474 words (source) which makes DFP more than adequate for it's intended purpose of web based content. On a tight budget? Then this is the option for you. One insanely low monthly fee gets you full access to DupeFree Pro, all the add-on modules and all updates for as long as you remain a subscriber. Get DupeFree Pro and all current and future add-on modules for this one ridiculously low monthly fee! As an Unlimited Subscription member, you will get instant access to everything, and as new updates and add-on modules are released, you will automatically get them without having to do anything. You need to act fast though, becuase the monthly fee will keep rising as DupeFree Pro comes out of beta and as new add-on modules are released. So lock yourself in at this increadibly low price today before the price goes up! The Online Check add-on module provides functionality for detection and analysis of online duplicate content, plagiarism and search engine indexing saturation. The Bulk Compare add-on module provides powerful functionality for quickly comparing multiple articles against each other at the same time, giving you a birds eye view of where the duplicate content issues are. 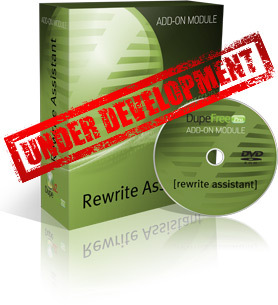 With the Unlimited Subscription, you automatically get any new add-on modules that are released. And as long as you remain a subscriber, your monthly fee does not increase from when you joined! 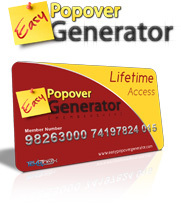 Get an Easy Popover Generator membership for FREE after being a DupeFree Pro: Unlimited Subscriber for just 5 months! With a real value of $54, this means you are effectively getting DupeFree Pro, and all add-on modules, FREE for 5 months! We don't know how long we can keep this special bonus live, so grab it while you can. Please note: this is a monthly subscription plan so there are no refunds for the monthly fees. If you cancel or skip a payment your access to DupeFree Pro will be revoked. If your subscription ends and you wish to rejoin, you will need to join at the price available at that time - so get in now while it's low! "I have just started using my new DupeFree Pro software, and have found it to be invaluable. I use a lot of PLR articles, and always do a complete re-write to avoid duplicate content. However, even with the best of intentions, duplicate content sometimes gets through without me realizing it. This software will do all the checking for me - it's priceless." Prefer to fully own your copy of DupeFree Pro? Then this is the option for you. Purchase DupeFree Pro and add-on modules separately with one-time payments. Own your copy and save money by only paying for the modules you need. Limited Time Bonus: Get a massive 40% OFF any add-on module! Try DupeFree Pro with zero risk with our 30 day money back guarantee! No expiring licenses. Get FREE software updates for life! Note: You must own this DupeFree Pro core software before you can get any of the add-on modules below. Try the Online Check [Add-On Module] with zero risk with our 30 day money back guarantee! Note: This add-on module can only be obtained after you own the DupeFree Pro Core: Visual Editor. Try the Bulk Compare [Add-On Module] with zero risk with our 30 day money back guarantee! - We use the feature that allows us to check on-line for duplicate content. This is a nice feature since we pay many freelancers for articles and spot-checking all freelancers and checking carefully all new freelance editors is a must. This has enhanced this policy. - Our editors and freelancers often take article ideas from our websites and create new stories. DupeFree Pro allows us to plug in various content sources, edit and review with ease." "I just wanted to express my appreciation for the outstanding product, support and technical expertise that we have received from DupeFree Pro. We highly recommend DupeFree Pro to any potential clients or customers." "My primary method of generating traffic is Article Marketing, so it's very important to me to avoid posting duplicate content as much as possible. DupeFree Pro gives me the ability to do just that, quickly and easily. When you write and post as many articles as I do, having a quality tool like DupeFree Pro is a real time and work saver. Thanks DupeFree Pro!" "One of the major article banks for ezines refused to accept my article because of duplicate content. I then hand rewrote it and submitted again but, still no luck. I got DupeFree Pro and did the "Compare" between the original article and my own rewrite. I didn't expect what I saw: still over 65% similarity exactly pinpointed all over. This pinpointing is out of this world. No more guesswork at all. So I knew exactly what had to change. Eventually I brought it down to less than 4% similarity. It goes without saying that my article was consequently accepted - I'm so pleased. I then submitted it to numerous additional article banks knowing it will not be refused for duplicate content thanks to the wonderful DupeFree Pro! The other outstanding feature is, you can see how many times a paragraph or phrase in your article comes up in the search engines by the click of a button. Can it get any better? I'm very impressed with your DupeFree Pro Software!" "I am building content sites in the health market and providing reams of articles on a variety of subjects. Your software is a boon as it now allows me to quickly check my content to ensure I'm not using someone elses material as my own. Thanks a million." "I've worked with DupeFree Pro and found it just fantastic and so easy to handle, which I am so grateful for." "I just wanted to drop you a line to let you know that I think dupefreepro is fantastic! I now use it every day and it has helped me a lot. So I just wanted to say a great big thank you." "...DupeFree Pro is amazing. I wish I had known about this earlier. I am a freelance writer and this makes things so much easier. It is far superior to CopyScape Pro. I have paid big money for things that are not near as helpful as this is. Thank you!!" "Just wanted to drop you a note thanking you for providing exceptional service to the IM community. I have been using DupeFreePro for a couple of years with total satisfaction. What I love most about the application is the ability to determine keyword density, the ability to visualize articles side by side, the color coded high lighting of words and paragraphs that are similar, and evaluation of articles determining there percent of likeness. Say goodbye to duplicate content forever!" "I have been using DFP for some time now and I just wanted to tell you that it's indeed a very useful tool. I mainly check the work of my writers for uniqueness and the tool really saves me a lot of time. Thanks for creating such a great software tool." Every effort has been made to accurately represent our product and it's potential. Any claims made of actual earnings or examples of actual results can be verified upon request. The testimonials and examples used are exceptional results, don't apply to the average purchaser and are not intended to represent or guarantee that anyone will achieve the same or similar results. Each individual's success depends on his or her background, dedication, desire and motivation. As with any business endeavor, there is an inherent risk of loss of capital and there is no guarantee that you will earn any money. Testimonial providers may have received a promotional copy (and/or other material compensation), in order to facilitate their Honest opinion for their endorsement and may be a marketing affiliate for DupeFree Pro.